The man who said he had a secret affair with accused murderer Chris Watts has revealed more about their alleged relationship and the murder suspect’s claims about the state of his marriage. Chris Watts is facing three first-degree murder charges for the alleged killing of his wife Shanann Watts and their young daughters Bella and Celeste. Trent Bolte claims that he had a ten-month affair with Watts that ended this spring, not long after the 28-year-old Fort Collins resident learned that Watts had lied about being married. He said the affair, which began when the two met on the dating app MeetMe, continued for a short while after he discovered Chris had been lying. During that time, Chris Watts reportedly claimed to Bolte that his wife Shanann, who was 15 weeks pregnant at the time of her murder last month, had been verbally and emotionally abusive. Chris Watts allegedly told Bolte that Shanann “treated him like he was stupid” and made him feel inadequate in front of his children. After Bolte discovered Chris had been dishonest about his family circumstances, he said that Chris “played the victim” and continued to reach out to him, insisting that he was in a bad situation with no idea how to get out. 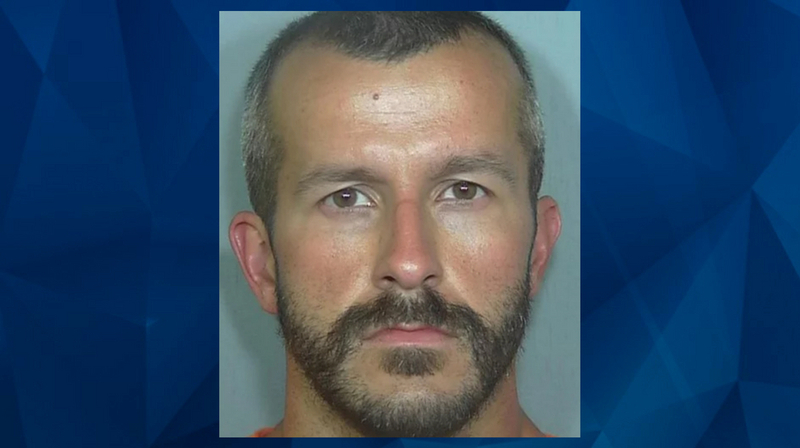 Bolte indicated that he trusts very little of what Chris Watts told him, and said he would not be at all surprised if he had been carrying on multiple affairs. According to a police affidavit obtained by CrimeOnline, an investigation found that Chris Watts had been having an affair with a co-worker. Since then, another woman has come forward in an interview with Radar Online, claiming that she had an affair with Chris Watts after meeting him on Tinder. In multiple phone conversations with CrimeOnline, Bolte seemed strained by the imposition of public and media attention, and what he characterized as aggressive and accusatory questioning by prosecutors and the FBI. Bolte said when he was recently questioned by FBI agents they accused him of “leaving something out,” which he insists he is not. He also said that lawyers for both the prosecution and the defense had attempted to track him down at his parents’ home in Wyoming. The Fort Collins man, who works in healthcare, said that law enforcement agents initially reached out to him and that he cooperated with questioning. He said he wasn’t sure how investigators learned of the relationship. CrimeOnline confirmed that the man we spoke to on the phone is the same person who owns social media accounts belonging to Trent Bolte. Bolte provided CrimeOnline with screenshots of text messages between him and Watts that appear to support some type of relationship with Watts. Bolte said they were the first text messages he and Watts exchanged away from the MeetMe app. The messages differ starkly in tone from screenshots circulating on social media, purporting to be messages between Watts and Bolte. Bolte is aware of the images that have circulated and insists they have been fabricated, pointing out that the messages indicate the two men met on Tinder, which Bolte says is not true. He first told his story to HLN’s Ashley Banfield, and has denied claims, reportedly made on social media, that he was paid for the HLN interview. But Bolte did say that Chris had given him some money while they were together. He said that Chris gave him cash on a few occasions when he was in need of financial help, and that Chris offered the money while also stating that he was struggling financially himself. Bolte said that in addition to the cash gifts, which he believes totaled around $1,000, Chris Watts bought him expensive skin care products at Sephora. Bolte said Watts paid in cash. As CrimeOnline previously reported, Watts and his defense team have filed court documents requesting an investigation into what they claim are leaks to the media made by prosecutors or police. The Wade County District Attorney’s office has denied that it leaked information about the investigation to the media.